R2-D2 can do lots of things, as he’s demonstrated to us over many, many Star Wars movies. The droid is practically unstoppable — even when he’s accidentally fried his insides by hacking into the Cloud City computer and/or “asleep” waiting for everyone to find the missing puzzle piece of the map to Luke Skywalker. A droid’s got to rest every now and then, okay? But out of all the things R2 can do, he can’t make coffee…OR CAN HE? 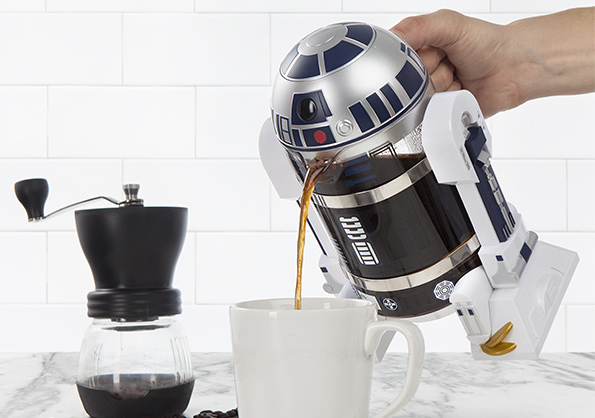 ThinkGeek has just unveiled a brand new, ah-mazing, fix for our morning (or whenever) coffee crazy. 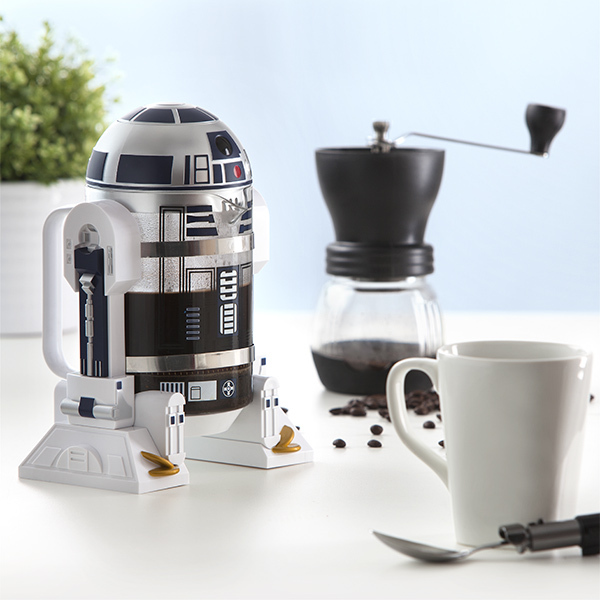 An R2 coffee press now exists. R2 can now make coffee. What a time to be alive. 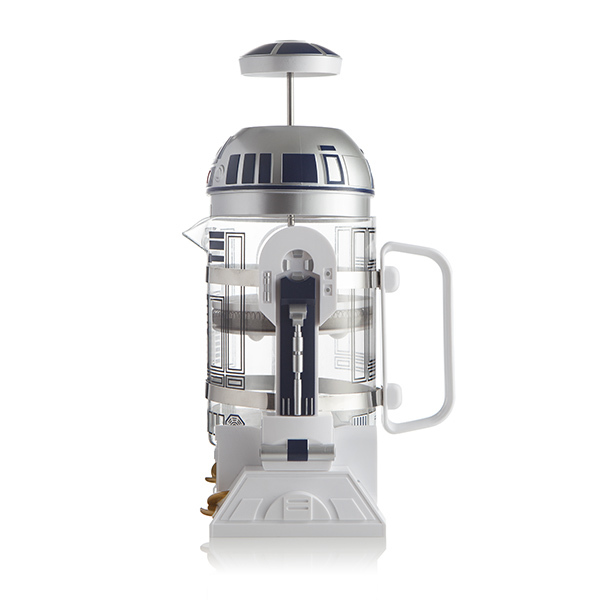 The ThinkGeek exclusive product works just like any other coffee press you might have, but this one is like, 12 parsecs better because it’s R2. All you’ll need is this handy carafe, plus some ground coffee, and boiling water, and soon you’ll be sipping on your favorite cup of joe in no time. You’ll even be able to make enough coffee to share. 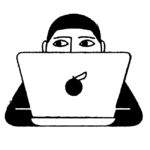 The press makes a whopping 32 ounces, and seriously, don’t try to drink that all yourself (or you know, drink it, because you do you). That’s roughly enough for four cups of coffee to share with your favorite Rebel/Resistance friends. Also, the carafe is dishwasher safe so could this BE any easier to use and brew and sip? NO. Real talk: You need this in your life yesterday. 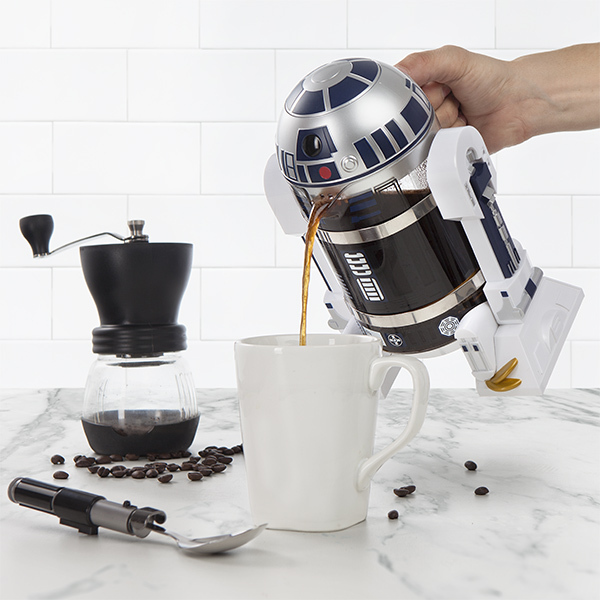 You can pre-order this little slice of coffee heaven right now, and R2 will ship out in early November 2016. It is never too early to start making your holiday wish list.